Ten countries overall participated in the competition and seminars, which were hosted by Alain Tardits, Viktor Lováski and Hungarian Savate. The Friday night played host to international savateurs who were eager to learn from Alain, a seasoned fighter and instructor, who covered many aspects of movement and range control with an opponent. On Saturday, a brief warm up in Savate was undertaken and the participants were then treated to a seminar in Canne de Combat from World Combat Games Vice-Champion Péter Nyilasy – a true expert in the field who clearly explained and demonstrated the basic aspects of Canne to give these savateurs an insight into what else was on offer from the broader arts related to Savate. By Saturday afternoon everyone was ready to show off their skills in the ring and 78 participants, from juniors to veterans, fought well across 80 assaut and 2 precombat match-ups. 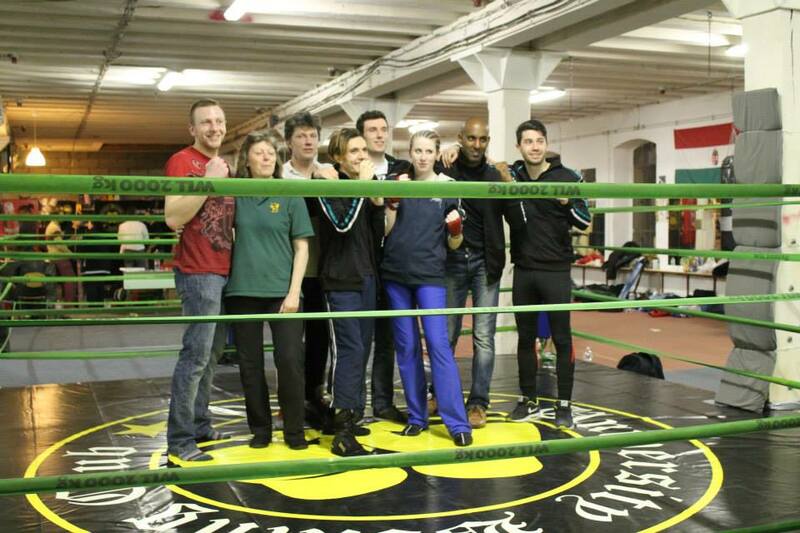 GB Savate was done proud with plenty of wins, and experience gained from all competitors across every fight. Each fighter had 2 or 3 fights against opponents with ranging experience, from novices to current international team fighters. Post-competition partying was also well represented by the British contingent, with Alain and Viktor organising a fun night out for all the competitors! Sunday provided a well-earned rest, with a group trip to the Budapest thermal baths to recover aching muscles. Overall the trip was a huge success; both thanks to the dedication of our fighters for training hard and making the journey over there, and also thanks to the great organisational skills of Viktor and Alain. Hopefully we will be able to once more send a team of fighters to support a third Budapest Open next year!